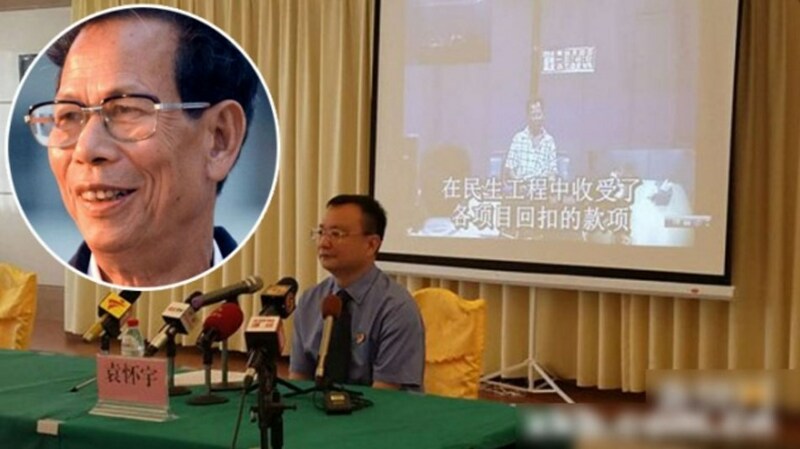 The leader of a fishing village in Guangdong known for its “democratic” election process has “admitted” to receiving kickbacks in an interrogation video, according to mainland reports on a press conference held Tuesday morning. It is the latest development amid days of unrest and tension between police and villagers after Wukan Communist Party Secretary Lin Zuluan’s arrest early Saturday morning. 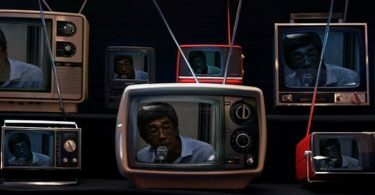 On Sunday, residents took to the streets to protest land seizures and called upon the authorities to release Lin, according to the Associated Press. Wukan gained international attention for the “democratic” election of its village leaders following months-long protests over illegal land seizures in 2011. 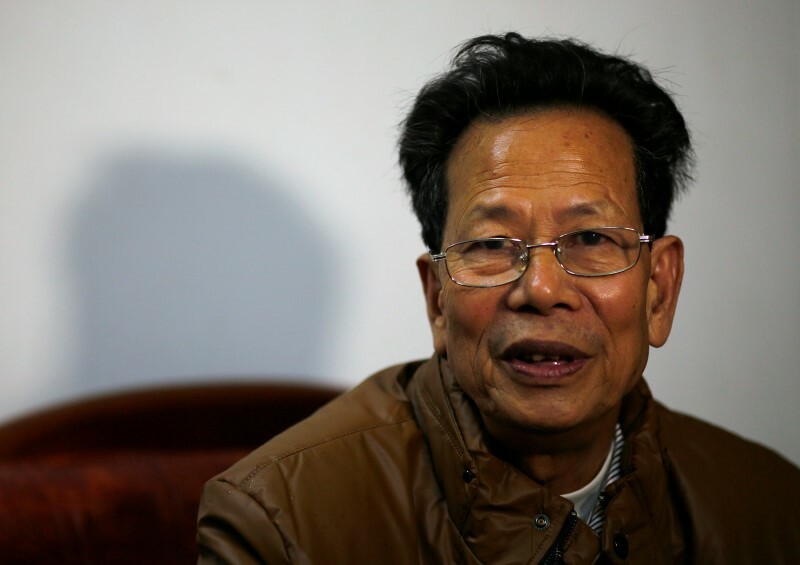 After villagers temporarily forced out the local authorities, protest leader Lin was elected as the village’s leader after the provincial government permitted a vote. 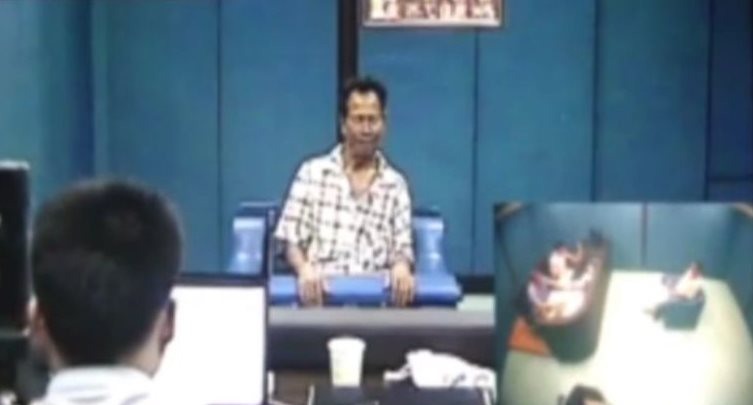 Wukan leader Lin Zuluan’s confession video. Authorities at the press conference, held by the Shanwei municipal government, said that Apple Daily and other “outside media” were inciting and orchestrating recent events in Wukan, according to the state paper. Tuesday’s press conference showing Lin’s confession. Photo: Apple Daily. 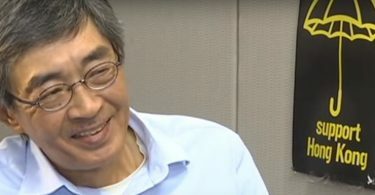 Prior to his detention, Lin was planning to hold a meeting with local residents to discuss illegal land grabs on Tuesday. Villagers signed a petition on Monday requesting Lin’s release. They are planning another protest scheduled for Tuesday, but Apple Daily reports that it may be postponed because arrangements haven’t been completed. Six villagers actively leading or participating in the protests were summoned by police, along with Lin’s grandson Lin Liyi, on Monday, says Apple Daily. HKFP’s phone calls to Lin’s house in Wukan Tuesday morning were terminated by the other party. A WeChat account that was operated by Lin’s grandson was shut down and his posts relating to recent events in Wukan were taken down since Monday. Hong Kong’s Alliance in Support of Patriotic Democratic Movements in China organised a protest Tuesday afternoon to call for Lin Zuluan’s release, according to its Facebook page.